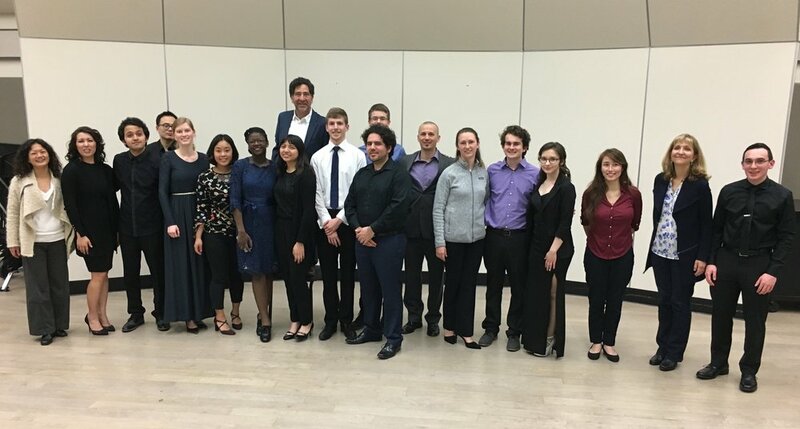 New Millennium is pleased to announce the winners of the 2019 Watson Family Chamber Music Competition, and to congratulate all the participating ensembles for their fine performances. The prize this year is shared by two trios. The first, comprised of Susan Levine, clarinet; Corbin Weiss, cello; and Ina Jun, piano, performed Brahms's Trio in A minor, Op. 114. The second, comprised of Ardalan Gharachorloo, violin; Dylan Jowell, cello; and Renee Harris, piano, performed Mendelssohn's Trio in D minor, Op. 49. New Mill also wishes to thank this year's judges, Lynne Richburg and Rejean Anderson. It was a wonderful evening of music; bravo to all involved!